Are There Over the Counter Wart Remover Products That Work? Not only can you purchase over the counter wart removal products, you have an almost overwhelming variety from which to select. It gets confusing. How can you know which one will work for you? Some contain an acid. Is that painful to use? Some labels say you only need one treatment, but the container has several treatments. Why is that? Is this one of the times you should just purchase the most expensive? This article provides the information you need to make the best choice for you. Which OTC Wart Remover Is the Best? Pharmacy shelves are filled with over the counter wart removal products. You can find creams, gels, pads, and aerosol cans. If you have the time to read the labels, you will discover that the ingredients are usually one of three types. Each is generally effective, but each product doesn’t work equally well for every individual. Many wart removers contain varying amounts of salicylic acid. 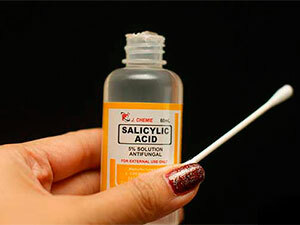 Salicylic acid is a mild corrosive that can remove warts with minimal pain. As the outer tissue of your wart dies, it sloughs off. That allows the salicylic acid to penetrate to the next layer of cells. The process is repeated until the wart is gone. Salicylic acid is easily available in creams, liquids, and pads. You’ll find everything you want to know about using salicylic acid for warts here. Silver nitrate is another caustic wart remover. Like salicylic acid, you can only use silver nitrate on common warts and plantar warts. Neither can be used on genital warts. Silver nitrate is usually applied with a pencil, but it’s also available as a cream or in a liquid solution. There’s complete information on using silver nitrate for warts here. Skin specialists often use liquid nitrogen to remove warts. It’s an extremely cold liquid in a spray can. A very small amount will quickly freeze a wart, causing it to die. Individuals report sensations from mild discomfort to intense pain when the liquid nitrogen is applied. More than one treatment may be necessary. Treatments are usually a week or two apart, to give the dead tissue time to slough off. You’ll find what you need to know about using liquid nitrogen for warts here. The preferred freezing liquid for home use is available in the form of dimethyl ether combined with propane. You may find it labeled as DMEP in some products. DMEP is very cold, approximately 42 degrees below zero F, and will efficiently freeze off your warts. Most individuals report only mild discomfort with the process. Consult a doctor if your wart starts to bleed. 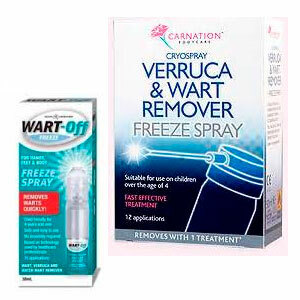 Freezing liquids cannot be used for genital warts or for warts in other sensitive skin areas such as your face. There’s information here on how to use wart freeze spray. The gentlest wart removers are those that are formulated with natural ingredients. Amoils Wart Remover is a natural remedy containing homeopathic ingredients and essential oils. 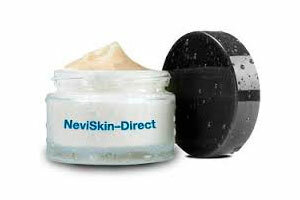 Nevi-Skin creams are made from herbal ingredients by DermalMeds. Both these products can be used on all warts, including those on your face or genitalia. 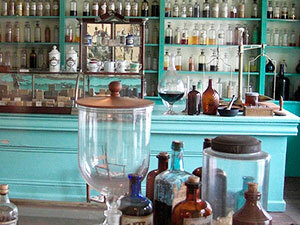 We tell you how to use colloidal silver for warts here. OTC wart removal products can kill your warts, but they don’t kill the virus that causes them. It takes a strong immune system to repel or suppress the virus. However, preliminary research has shown that an extract made from Japanese Shiitake mushrooms may help in treating the virus. The extract is called AHCC, for Active Hexose Correlated Compound. 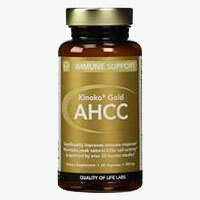 Supplements containing AHCC are available wherever vitamins are sold. Many individuals prefer wart remover creams over other products as they are easy to use. Most over the counter wart creams are formulated with salicylic acid. Nevi-Skin Wart and Mole Removal Cream has received high reviews from individuals who rely on herbal treatments. All are effective, so which to use is mostly a matter of personal preference. There isn’t a wart freeze formulation in a cream. If you prefer to apply a liquid solution to your warts, you might try Duofilm Liquid Wart Remover. It contains salicylic acid and has received high ratings from users. Compound W Wart Remover Gel in another highly rated salicylic acid product that individuals have found effective for killing their warts. Trichloroacetic acid, or TCA, is normally available only in a medical facility. However, Wartner Wart and Verruca Removal Pen contains TCA in a gel for home use. Users like it because the pen makes the gel easy to apply. Wart and Mole Vanish by Pristine Herbal Touch is a herbal wart remover made from 100% natural products. It’s sold in a kit that contains everything needed to treat your warts. Wart remover pads are very easy to use. You simply stick them on your wart for a specified period of time. Many individuals find them comfortable for their plantar warts. Compound W Wart Removal Pads and Curad Mediplast Wart Remover Pads are both impregnated with 40% salicylic acid. Freezing off a wart is one of the most efficient ways to quickly kill a wart. The procedure is known as cryotherapy and is often the first choice of skin specialists. There’s information here on how to use freeze wart remedies at home. 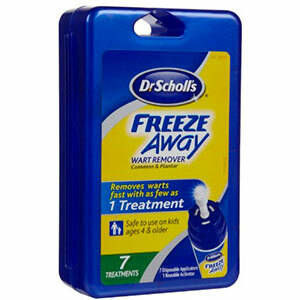 Dr. Scholl’s Freeze Away Wart Remover and Compound W Freeze Off Wart Removal System are dimethyl ether and propane formulations that are effective for many individuals. The mixture is applied to warts by means of included applicators. Your questions about using a freeze away wart remover are answered here. As you may have guessed from the variety of products available, there isn’t a best OTC wart remover. Everyone is different and what works best for one person’s warts may not work for another person. The location and size of the wart are also factors in choosing the best product. A product strong enough to remove a large plantar wart can’t be used for a genital wart. Keeping a wart removal pad on a finger wart can be difficult. Freezing off a wart can be a painful process you might not want to endure. The best over the counter wart remover is the gentlest product that will effectively remove your warts with the fewest number of treatments. Because warts are tough little growths, nearly every treatment must be repeated to eliminate all the tissue. You may need to experiment to find a good over the counter wart treatment. Although this article uses brand names, many department stores, drug stores, and supermarkets offer store brand products. These are often inexpensive and comparable to the name brands.